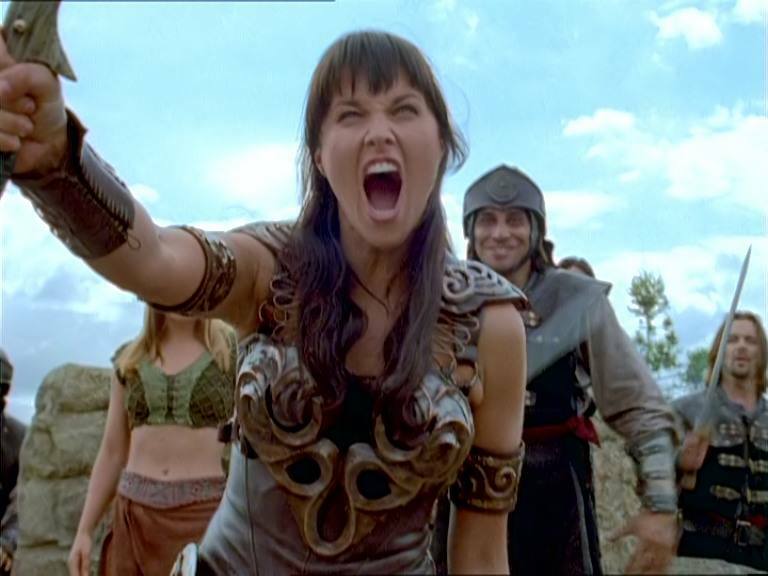 THE XENA SCROLLS: An Opinionated Episode Guide (219 & 220) | THAT'S ENTERTAINMENT! ← Fear No More: WHO’S AFRAID OF MRS. DALLOWAY? 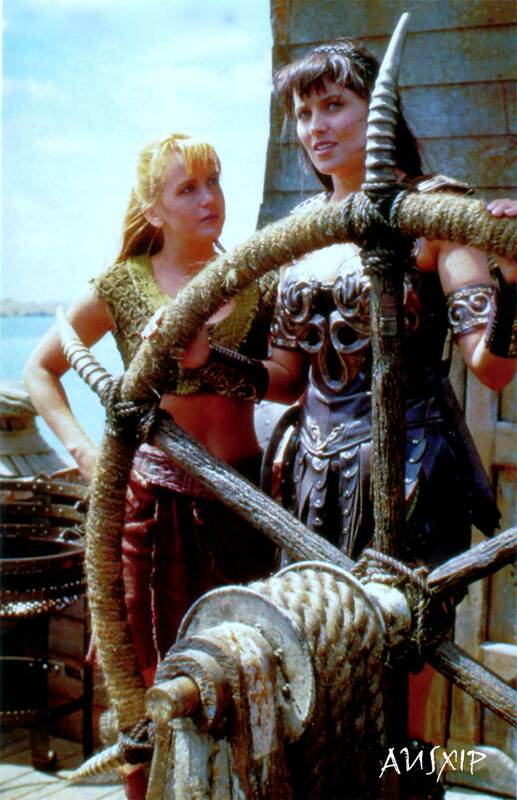 Xena and Gabrielle encounter pirates, the sea god Poseidon and the alluring Sirens when they help Ulysses sail home to Ithaca to re-claim his kingdom. It’s The Odyssey: Xena Style when the dynamic duo helps Ulysses return home to Ithaca in this almost unanimously disliked episode. 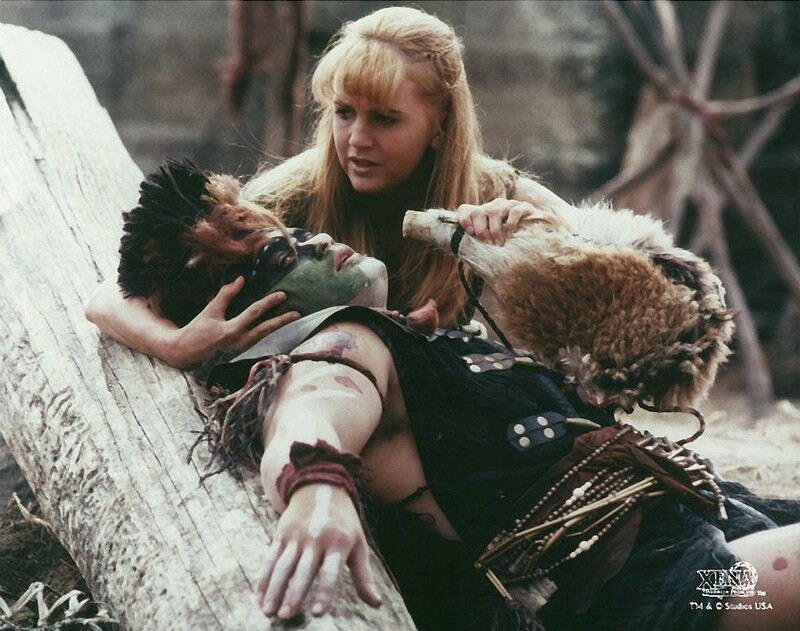 The principle reason for most fans’ discontent: Xena is given a male love interest. 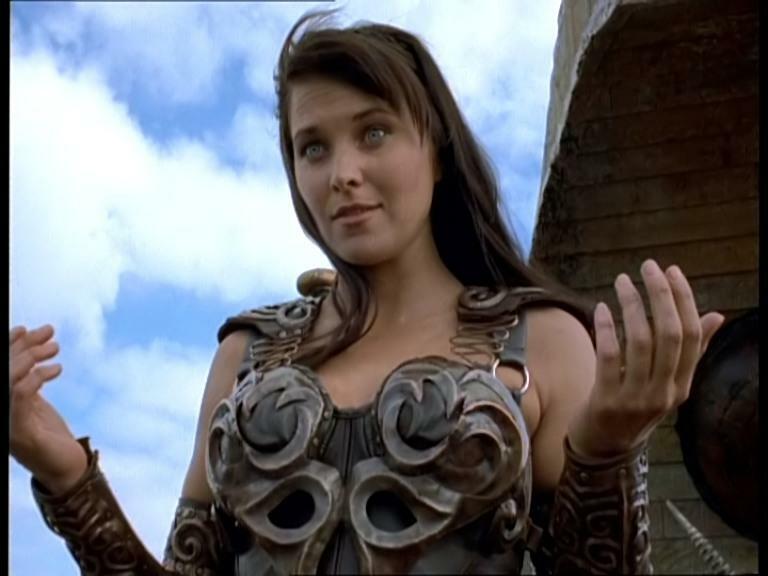 Okay, as I’ve mentioned before on this blog, I really don’t care one way or another when the show gives Xena love interests of either gender — the fact that the series never really committed to defining the character’s sexuality makes her all the more fascinating, and, frankly, a much richer subject to watch. But for the fans who enjoy this series for the “subtext,” this episode is one big annoyance. 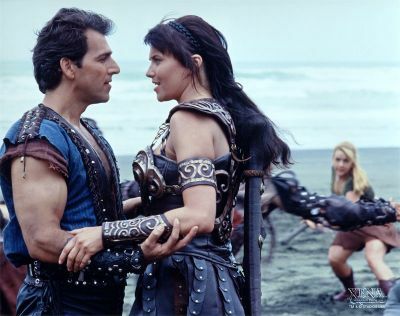 However, my problem with the installment is simply that the attraction between Xena and Ulysses isn’t believable, and this is mostly because there’s not enough time to develop the relationship AND service the story at hand. I mean, we saw the Trojan War end in the middle of last season, and it took Odysseus (or Ulysses) over a decade to return home (according to Homer). Trying to cram almost the entirety of his adventure into 44 minutes just doesn’t do anyone justice. But, because this is probably one of the most widely read (and told) Greek myths, there is an inherent coolness about the series finding a way to incorporate our heroines into the narrative. Unfortunately, there’s really no good way to do this without sacrificing the integrity of the Ulysses character, and when he comes off looking weak (as is the case here), the entire episode looks weak. And that’s another major flaw of the episode. However, this is the first of the seafaring episodes and it does house some absolutely gorgeous visuals. I think this is because so much of the episode is shot in exteriors, giving the installment a very mythical and Grecian feel: a trademark that the series gradually seemed to lose over the course of its six years (when it expanded to different locales — a benefit and detriment, in my opinion). 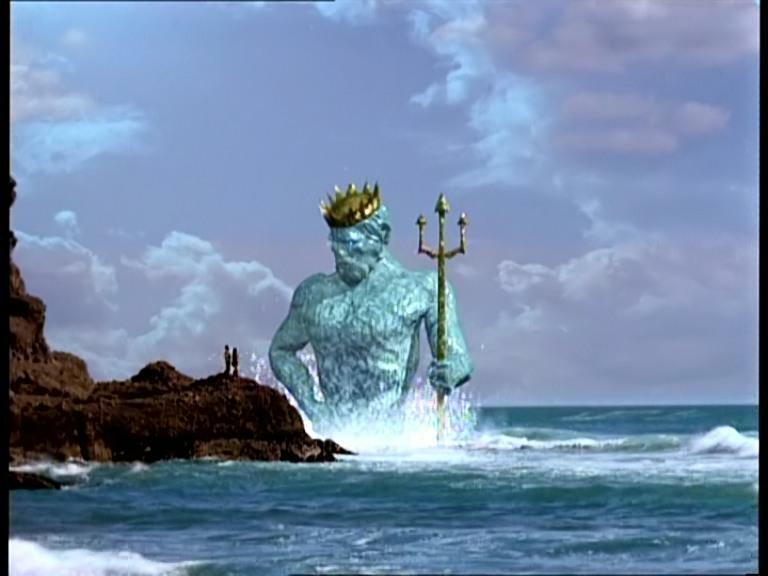 Furthermore, it’s a solid adventure episode that should appeal to fans of mythology, because although Homer’s The Odyssey is not done with justice, it’s great to see the first appearance of Poseidon (largely because of questions aroused as a result of a shot in the opening credits). 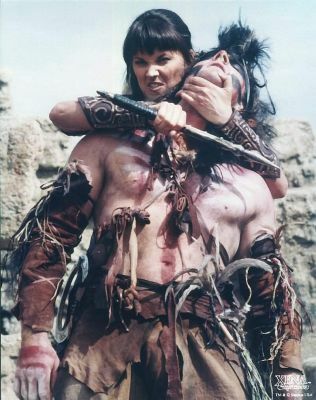 Interestingly, this does feel like a classic Xena episode because of its look and tone, but it’s actually probably the most flawed of all the post-“Destiny” installments because it doesn’t work as well as it should. (Note that this episode was written BEFORE the accident.) That said, there are always little things to like about every episode. Unfortunately, there aren’t as many as the premise seems to promise. I featured this episode as #9 on my list of the 60 best episodes. Read my thoughts here. 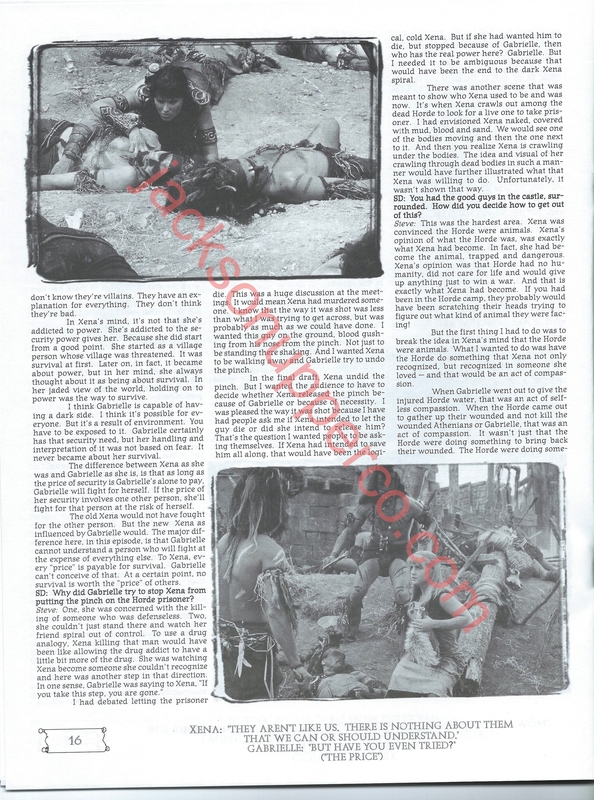 Here are scans of an interview that writer Steven L. Sears gave on “The Price” for The Chakram Newsletter: #20. Come back next Thursday for more Xena! And tune in tomorrow for another Miriam Hopkins Pre-Code!